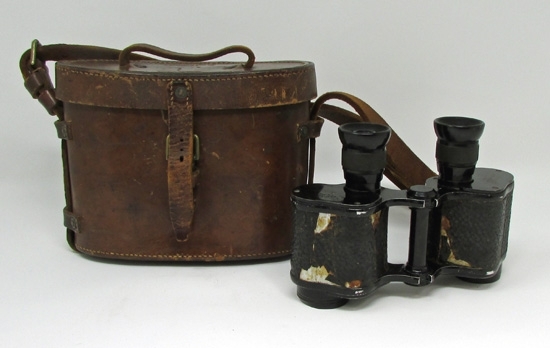 Item #44794 : Original era manufacture. 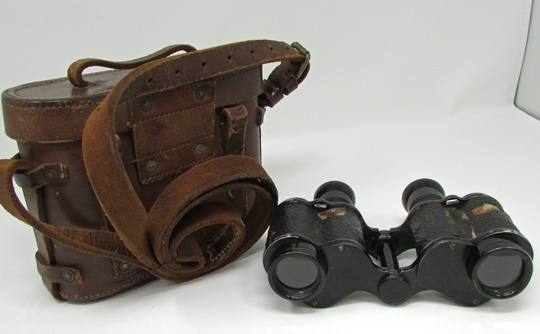 British WWI 8x30 Stereo prismatic binoculars, individual focus eyepieces, clear optics, in proper collimation. 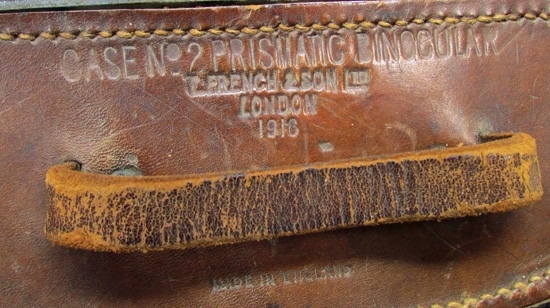 The imitation leather covering on the frames is flaking as shown.Sound brown leather case with shoulder strap. 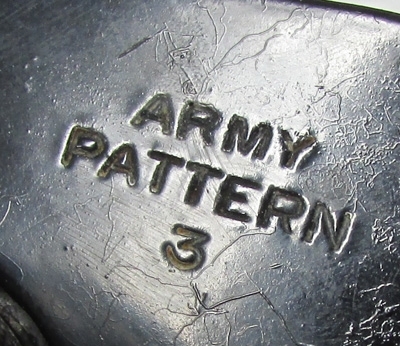 Clear makers markings and date of 1916.